Home » General » Voice of the Future: Where is Speech Recognition Headed? Voice-activated digital assistants are no longer limited to the smartphones. They have permeated into the gadgets and wearables such as watches, our cars and homes. The impressive growth of the artificial intelligence technologies and improvements in natural language processing have fueled the appetite of various companies, for building voice-enabled experiences. These are now finding their way into public transportation, marketing, finance and various other realms. The tech giants such as Google, Amazon, Apple, Facebook and Microsoft are at the forefront of developing voice recognition technologies. 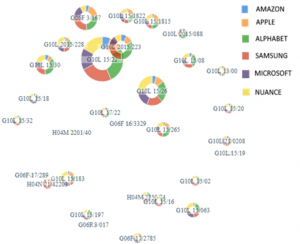 However, a closer look at the patent assets held by these companies shows us that Nuance Communications arguably bests these companies in advanced speech recognition technologies. We present a competitor comparison of the top companies active in speech recognition technologies – Nuance Communications, Microsoft, Samsung, Alphabet, Apple and Amazon. This article also focuses on why Nuance has been a desired acquisition target for the larger companies. What is the filing trend for speech recognition technologies? Figure 1 illustrates the growth of patent publications over the last two decades for speech recognition technologies for all the major companies – Nuance Communications, Microsoft, Samsung, Alphabet, Apple and Amazon. A sudden growth in the speech recognition related published applications owned by Alphabet and Samsung is seen after 2015. Microsoft and Nuance possess the largest patent portfolios among the top companies in speech recognition technologies, followed by Samsung and Alphabet. Figure 2 shows the distribution of various speech recognition technologies across these companies. 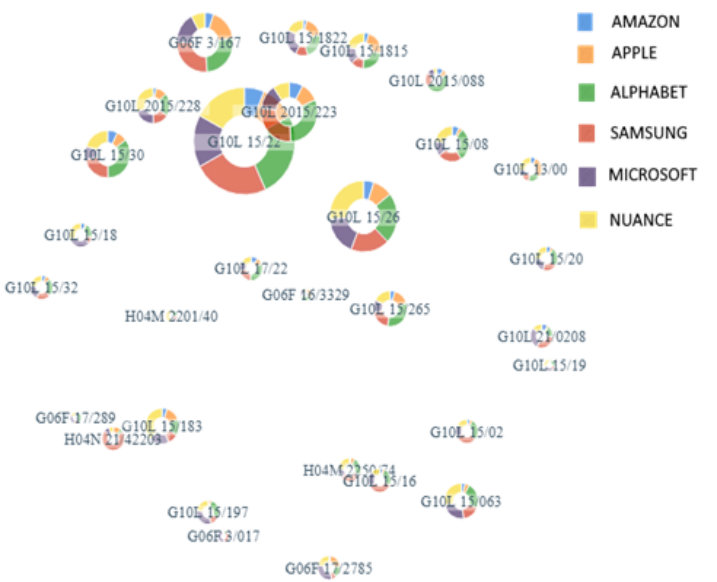 Figure 3 depicts the number of patent assets owned by the company across various technology categories as represented by individual bubbles. 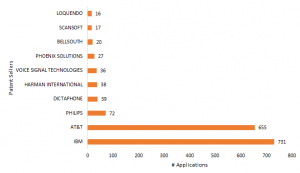 In the figure, the size of a bubble corresponds to the total number of patent applications for a technology category. The bubble proximity corresponds to the “relatedness” of the individual technology categories. A category-wise competitor comparison shows that Nuance leads in categories such as classification, search, man-machine dialogue and recognition systems, followed by Microsoft. Samsung leads in other categories such as speaker identification, speech analysis, speech enhancement and speech synthesis. Nuance is a software company known for its speech-recognition products. The company’s product line consists of speech recognition software that provides speech recognition and natural language understanding capabilities, voice authentication and text-to-speech engines, a voice platform and pre-packaged applications. Nuance was founded in 1994 as a spin-off of SRI International Speech Technology and Research Laboratory, an American non-profit scientific research institute, and deployed its first commercial speech application in 1996. Nuance merged with its competitor, Scansoft in 2005 and the resulting company was renamed Nuance Communications. Nuance has changed the way people interact with the devices, systems, and applications that surround them by pioneering the evolution of speech recognition technology. Over a two-decade period, Nuance has developed sophisticated voice systems and has absorbed several companies working on voice recognition capabilities. It is now the owner of an enviable patent portfolio related to advanced speech recognition technologies. 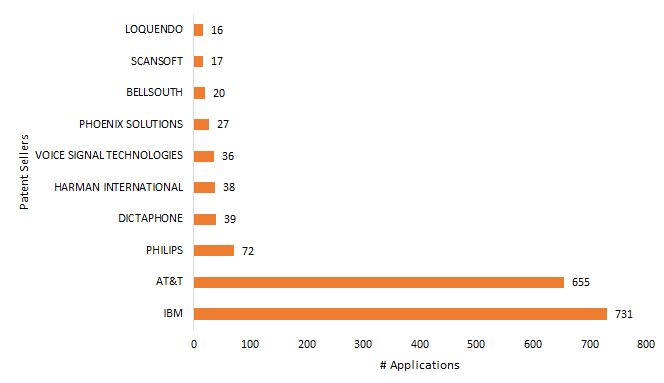 Figure 4 shows that more than 50% of the patents owned by Nuance are acquired from other companies. Most of these acquisitions are from IBM and AT&T. Nuance’s strong technology portfolio has made it a prime acquisition target at various times going back a few years. In 2010, the news surfaced that Apple was planning to purchase Nuance. Steve Wozniak mistakenly claimed that Apple had already acquired the company. Apple subsequently clarified their stance but murmurs continued of a deal between the two companies. The potential acquisition was estimated to be worth USD 7 billion. However, in May 2014, Apple instead purchased Beats, the headphone maker and music streaming service provider. Amidst all the speculations was buried the fact that Apple’s voice assistant, Siri, relied on Nuance technology. In 2013, Nuance confirmed that this was indeed the case. In 2014, the reports of Samsung’s plan to purchase Nuance gave rise to market reactions and speculations around the impact it would have on the speech technology market – primarily around the effect it would have on the iPhone ecosystem. In 2016, when Google opened up its cloud-based speech recognition API to software developers, speculations arose about its effect on Nuance’s long term growth. Nuance, however, continued to power the connected devices with its industry-leading speech engine. Nuance has maintained its leadership position in the market despite tough competition from the larger companies. Nuance possesses diversified business lines across multiple sectors and industries – desktop software, contact center software for enterprises, healthcare transcription and related services, voice biometrics, outbound alerts, and growing mobile business. With a current market cap of over US$ 4.5 billion and a strong product portfolio with market leadership, it would be a costly and daunting proposition for any company to acquire Nuance today. Where is speech recognition headed? While the high cost of sophisticated speech recognition systems and lack of accuracy in noisy environments are the issues to be addressed, speech recognition technologies are bound to improve as well as grow due to their demand in different sectors. The increasing demand for voice authentication in mobile banking applications, the growth of autonomous vehicles and the rapid proliferation of multi-functional devices are among the major factors driving the growth of speech and voice recognition market. View our complete report to get insights into the major players in speech recognition technologies and understand the competitive scenario. Get the competitor comparison report.